The film has earned $1.14 million in the US and Canada market; $212,000 in UK and $297,000 from other territories. Kangana Ranaut's Manikarnika: The Queen of Jhansi continues to witness an upward trend at the box office. The film has raked in over Rs 20 crore in the second week at the box office. The film has collected Rs 84.80 crore in just 15 days and is rapidly inching towards the Rs 100-core club. The film released on January 25 had made Rs 50 crore in the first five days of its release and by day 10, the film had earned Rs 75 crore. Manikarnika has also done overwhelming business in the overseas market. The film has crossed $3 million in 12 days. The film has earned $1.14 million in the US and Canada market; $212,000 in UK; $297,000 in Australia, New Zealand and Fiji; $861,000 in UAE and $297,000 from other territories. 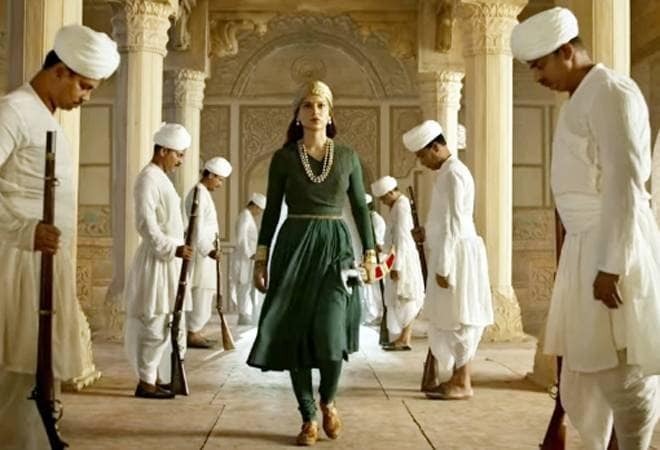 Made with a big budget of Rs 125 crore, Manikarnika is the costliest woman-centric movie in Bollywood. It, however, has a considerable way to go before recovering its budget. The film's Hindi version has done well, in comparison to the Tamil and Telugu versions. Also, Manikarnika has noted loss in Mumbai and Gujarat. Delhi and Uttar Pradesh have proved to be a strong market for the film. Kangana Ranaut has also made her directorial debut with Manikarnika. The film is co-directed by Radha Krishna Jagarlamudi and the music is composed by Shankar-Ehasaan-Loy. The film features Atul Kulkarni as Tatya Tope, the key commanding officer in the 1857 revolt, Suresh Oberoi as Peshwa Baji Rao II, and Danny Denzongpa as Ghulam Ghaus Khan. The film also features Richard Keep, Yash Tonk, and Ankita Lokhande in pivotal roles. There's a possibility that Manikarnika's will continue its steady run in the third weekend as well, since there are no other big releases this Friday. The film's business may see a decline only when the much-awaited Zoya Akhatar's Gully Boy, starring Ranveer Singh and Alia Bhatt, hits the theatres on February 14. Until then, Kangana Ranaut needs to make the most out of it.